the Just like Goldilocks was searching for the bed that was neither too hard nor to soft, so you should be basing your search of the perfect pillow on a similar maxim. Chamber pillows are a great option as they are layered pillows with three different compartments. The outer compartments are filled with pure down and the centre compartment with feathers. The outer layers of down give a luxurious feel and the inner spine of feathers offers the support. The amount of fill in the centre compartment creates the different pillow densities. Ethically sourced, encased in 240TC down-proof cotton with durable double edge stitching. 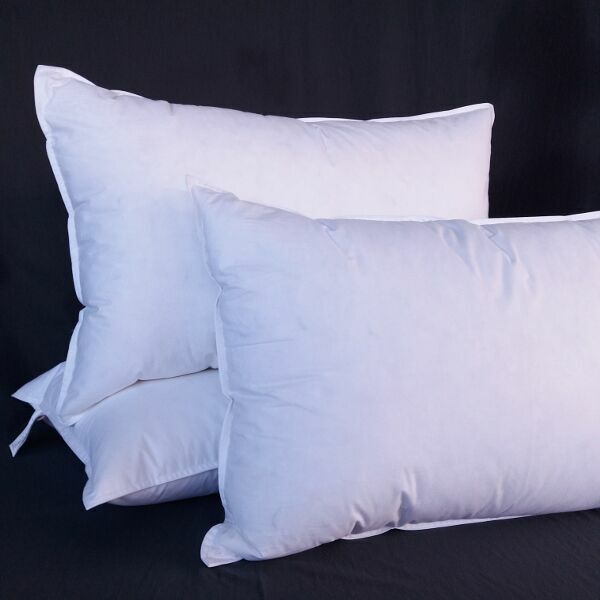 Notify me when Standard 45 x 70, Medium - Luxury Chamber Pillow Inners - Medium Density is available.